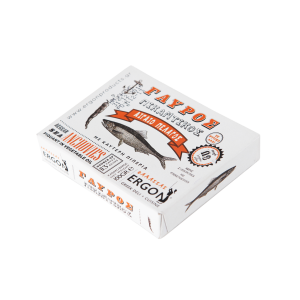 SKU: 5002004 Category: SEAFOOD Tag: SEAFOOD Brand: North Aegean Canning Factory Barcode: 5206426002962. 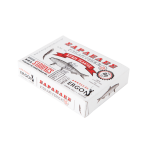 Sardines (Sardina pilchardus Walbaum 70%), vegetable oil (soya oil), salt. 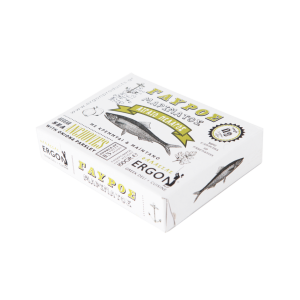 “Our super-fresh North Aegean sardines are carefully cleaned and slightly steamed, so as to keep the flesh crispy and fresh and all the nutrients intact. 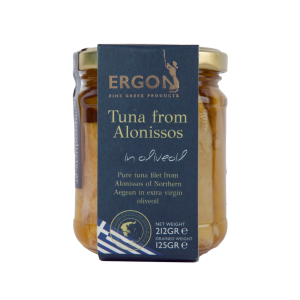 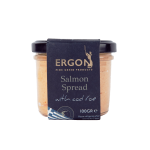 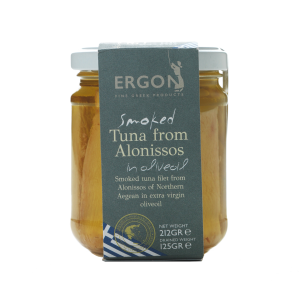 You can enjoy our sardines as a meze, julienned in seafood salads, but also as an ingredient in nutritious, delicious, original dishes. 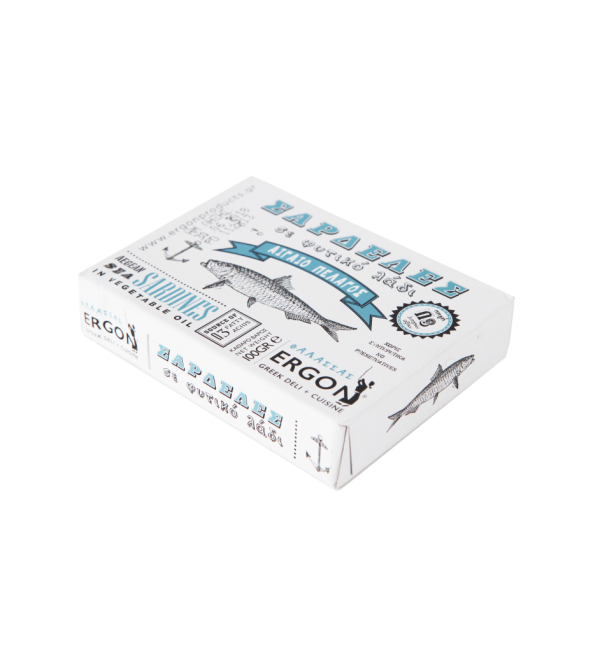 Sardine is the fish of reference in the Mediterranean diet and they are rich in vitamins, minerals and Omega-3 fatty acids.